A major culvert is a culvert (or more commonly multiple culverts laid side by side) of large enough size to be treated more like a bridge over a water course than a pipe under a road. Section 8.3.3 of the Data Standard for Road Management and Investment in Australia and New Zealand defines a 'major culvert' as a structure designed to provide passage for road users over an obstacle by spanning it. Major culverts have a cross sectional area of more than 3.4 sq.m. The Queensland Grants Commission defines a major culvert as a culvert or culverts with a total span of greater than 6m. The Victoria Grants Commission doesn't specifically define the term major culvert. It states (rather confusingly) that "Bridges and Major Culverts include bridges and major culverts of six (6) metres and over in length (measured along the centre line of the carriageway)." Major Culverts (< 6m) - which are ignored all together!! 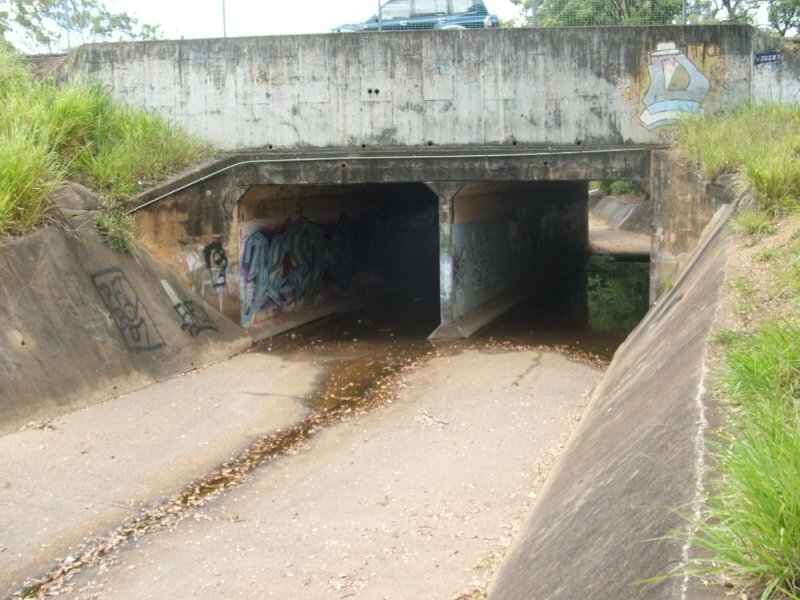 The VicRoads Road Structures Inspection Manual suggests that major culverts should be the subject of a routine maintenance inspection at least twice a year.